Greetings Divas! Here we are at the beginning of a new work week...I’ll wait for the collective sigh! If you are anything like me, you cherish Sunday afternoons. Not just because there's a Real Housewives of Atlanta marathon on Bravo, but it is a time to plan and prepare for the upcoming week. I find that taking a few minutes to plan and prepare for the week helps me to be more efficient and productive during the week. As I stated in my previous post, “Preparation Is Key,” I take the time to plan what I will do each day at work, as well as what I will do before and after work. In doing so, I prioritize the things I need to accomplish, the things I want to accomplish, and any “extracurricular” activities I plan to get into during the week. Sounds a little neurotic? That may be true, but it helps me to maintain my sanity! Over the past year, I have been using Toodledo to help me get my life in order. What its Toodledo you ask? 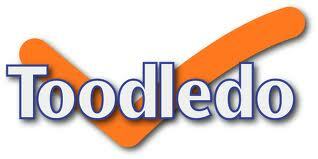 Well, Toodledo is an online task and note manager that helps to improve your overall productivity. It allows you to enter, prioritize, and categorize your various to-do lists in an easy to use, online format. You can assign start dates and due dates to tasks, and use audible pop-up alarms for tasks with approaching due dates. Toodledo also allows you to create folders to categorize your tasks. There is even a feature that lets you create notes. It is the perfect tool for Professional Divas with a lot on their proverbial plates. Still with me? Another great thing about Toodledo is that its basic version is free! And it’s not the kind of free that doesn’t allow you to take advantage of all of its great features. In case you’re interested, there is a Pro version ($14.95 per year) and a Pro Plus version ($29.95 per year). These advance versions allow you to create subtasks for project management. They also allow you to use a scheduler, which allows you to specify how much time you have available to work and makes suggestions as to those tasks that can be completed in that amount of time. These versions are a little bit too fancy for me, but it can really be useful to other professionals depending on their current needs. Just so you know, there’s and app for this! 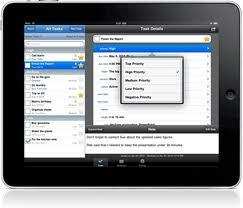 There is an excellent Toodledo app for the iPhone and the iPad, and there is a compatible app for Android phones. The apps sync seamlessly with the online program, and are perfect for adding tasks on the go. And for those of you who use another to-do-list application, such as Outlook, Toodledo allows you to quickly and painlessly import your tasks. In sum, I am so in love with Toodledo and the way it helps me organize and plan my hectic life. I seriously have folders for work items, home items, blog items, etc. I am almost positive that Toodledo can help you get your mind right! For more information on Toodledo, check out Toodledo.com. In the spirit of sharing….! Have a great week Divas! And don’t forget to work and play hard! Adwords. Well I'm adding this RSS to my email and can look out for a lot more of your respective fascinating content. Make sure you update this again soon.